As a bookworm, few things upset me more than someone telling me they have “no time” for reading. There’s always time for reading. ALWAYS! It’s just that sometimes finding the time is difficult. So here are my tips to help ensure you always manage a chapter a day. 1) Have a specific time for reading- when high school started being difficult for me, I stopped reading. The only time I read was during the holidays or a chapter before bedtime. Having a regular routine helped me to get back to reading. Yes, a chapter a day is painfully slow but something is better than nothing. 2) Carry a book with you- be it a paperback or an ebook, carry a book so that you can read whenever you have the time. I have a Kindle app on my tab as well as a epub reader and they’re both full of books. Always having a book with you allows you to read anytime anywhere. 3) Don’t push it- if you’re finding it impossible to read a certain book, move on to another. Life is too short to waste on books that don’t excite you. Reading is supposed to be fun not something you HAVE to do (unless you’re a college student and I can’t help you there). 4) Choose a book you’ll like- if you like romance, you might not be interested in the latest murder mystery. Choose a book you know will interest you. You can even read the book that your favorite movie was based on. The Harry Potter movies are so much better for me now that I’ve read the books. I’m obsessed. If it’s important to you, you’ll find a way. This is very true for reading. There’s always time for a book and making the time is so worthwhile. Why wouldn’t you want to travel to different world’s? 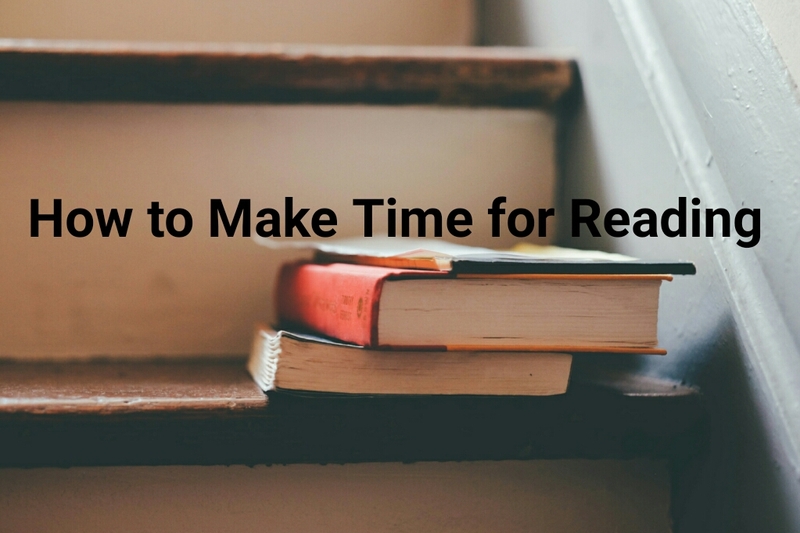 What are your tips for making time to read?